The Basic Bootie is our “Day of Coordination” package. This package is designed for the couple who has their entire wedding planned but wants to enjoy their wedding day. Our most popular package will bring you peace of mind knowing your wedding will be executed in a smooth and seamless manner. You’ll have a complete team from start to finish on your big day. We ensure you feel like a guest at your own wedding. 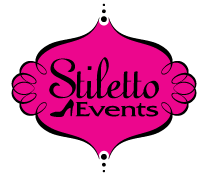 Sit back and relax knowing your big day is being handled effortlessly by Stiletto Events.